It’s getting cold outside, and that means it’s time to snuggle into your new favorite knitwear! Whether your style calls for lightweight or chunky and oversized, Westfield’s got all your knitwear needs covered from fall through those chilly winter months. Cozy up by the fire with our fashionable knitwear – choose from a chunky statement or cable knit sweater, classic cashmere, cardigans or lightweight, soft layering knits. 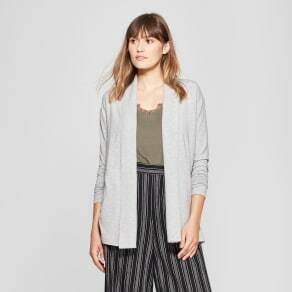 But you won’t just find the classics in our selection of knitwear; you’ll also find trendy embellished cardigans, knitted jumpers in cotton and merino mix to keep you cozy, warm and fashion-forward all winter long.